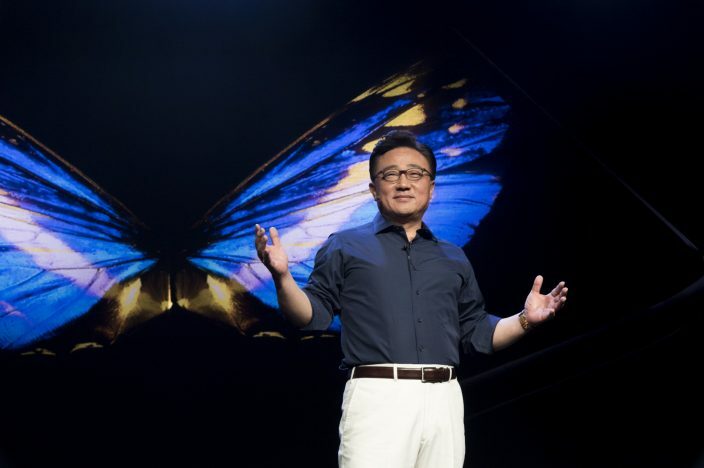 SDC 2018: Samsung Reveals Breakthroughs in Intelligence, IoT and Mobile UX – Samsung Newsroom U.K.
LONDON, UK – November 7, 2018 – Samsung Electronics Co., Ltd, today unveiled powerful new developer tools for its Bixby and SmartThings platforms, as well as new, powerful mobile experiences with One UI and Infinity Flex Display. To make connected living a reality, Samsung is making it easier for developers and partners to quickly build, launch and scale new experiences to millions of devices around the world. Samsung’s connected living vision is centred around an open IoT ecosystem that unites the growing number of connected devices on a single platform. Available in more than 200 markets around the world, SmartThings delivers a connected experience in a single app, bringing IoT beyond the smart home, into the car, office and everywhere in-between. Because the Infinity Flex Display is a next generation platform, Samsung invites developers to participate in this journey from the beginning. Working collaboratively with Google and the Android developer community, Samsung will maximise the potential of this new form factor to create an optimized foldable user experience. SDC brings together thousands of developers and creators to explore today’s tech and visualise what’s possible in the future. The two-day conference will feature exciting keynote announcements, technical sessions and valuable networking time. Plus, Samsung product teams and technology partners will showcase the latest tech advances and tools.